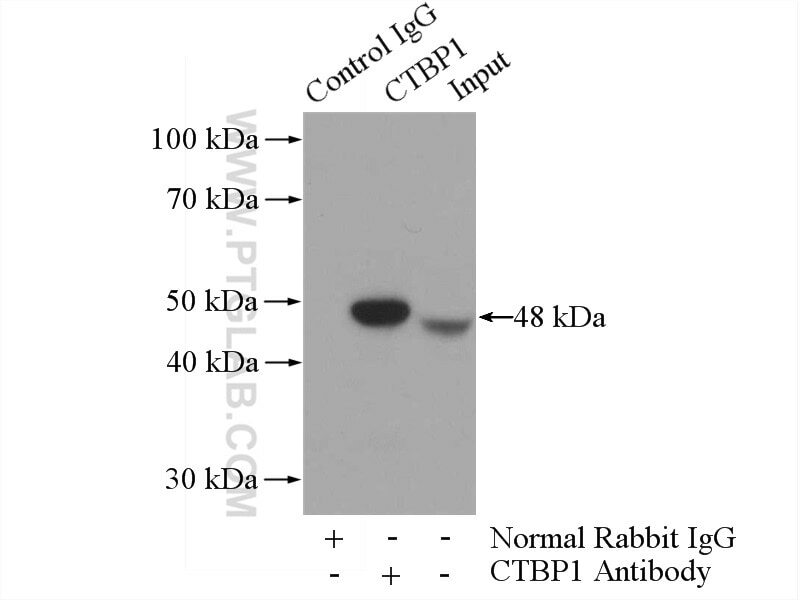 IP Result of anti-CTBP1 (IP:10972-1-AP, 3ug; Detection:10972-1-AP 1:200) with mouse brain tissue lysate 4000ug. CTBP1, also named as C-terminal-binding protein 1, is a 440 amino acid protein, which belongs to the D-isomer specific 2-hydroxyacid dehydrogenase family. 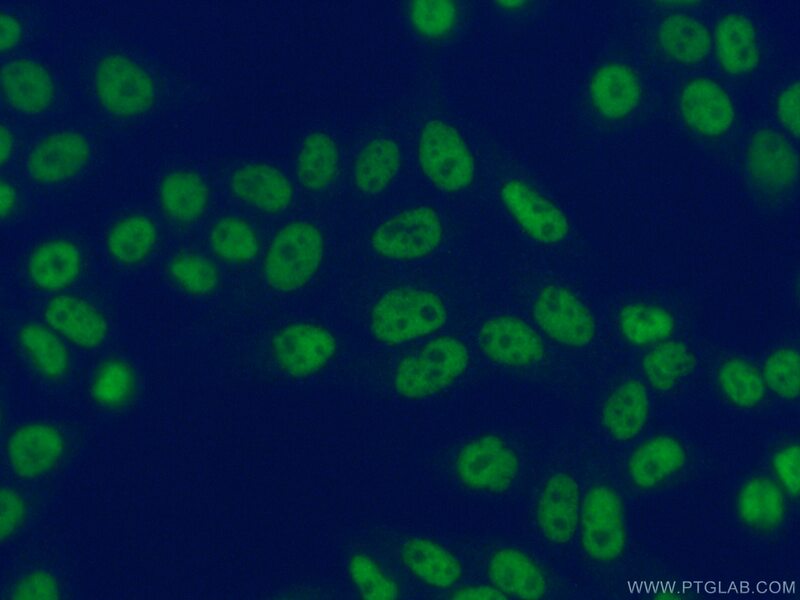 CTBP1 is a cellular phosphoprotein that associates with various proteins and functions as a corepressor of transcription. CTBP1 and the related protein CTBP2 are characterized as C-terminal binding protein of adenovirus E1A, and they preferentially associate with the E1A via a 5-amino acid motif, PLDLS, to repress E1A induced oncogenesis and cellular transformation. 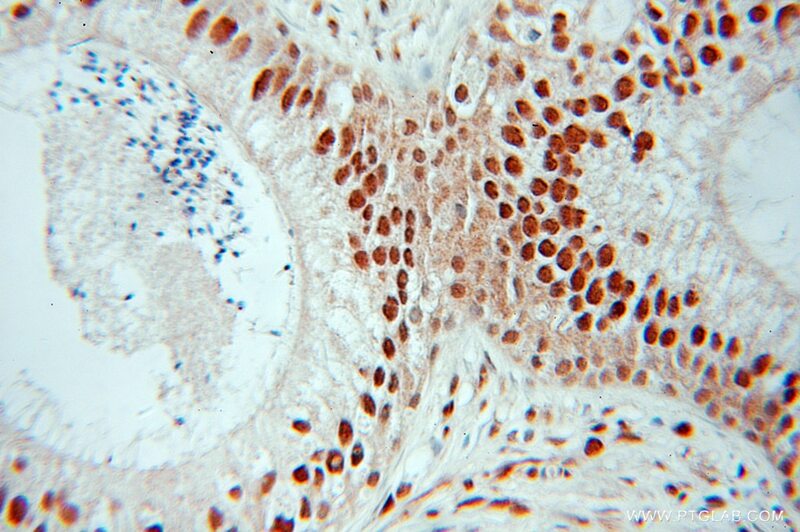 CTBP1 is expressed from embryo to adult, but CTBP2 is mainly expressed during embryogenesis. ZNF516 suppresses EGFR by targeting the CtBP/LSD1/CoREST complex to chromatin. Role of hepatoma-derived growth factor in promoting de novo lipogenesis and tumorigenesis in hepatocellular carcinoma. CDYL suppresses epileptogenesis in mice through repression of axonal Nav1.6 sodium channel expression.